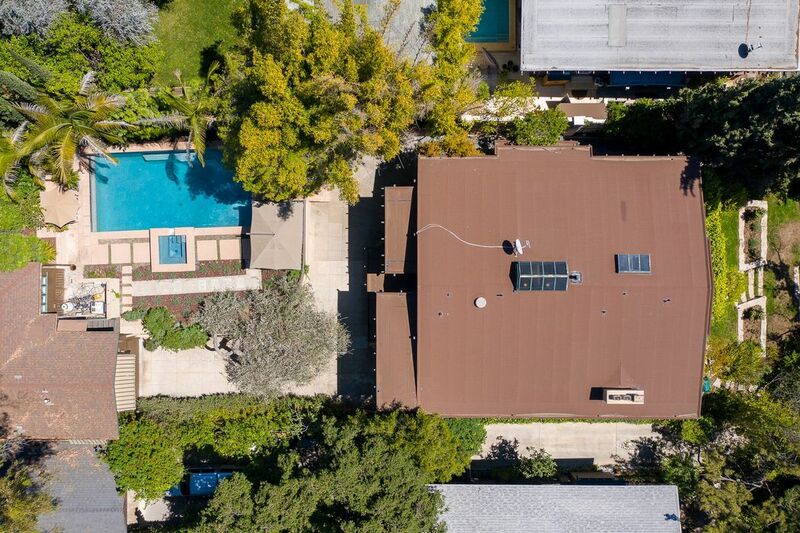 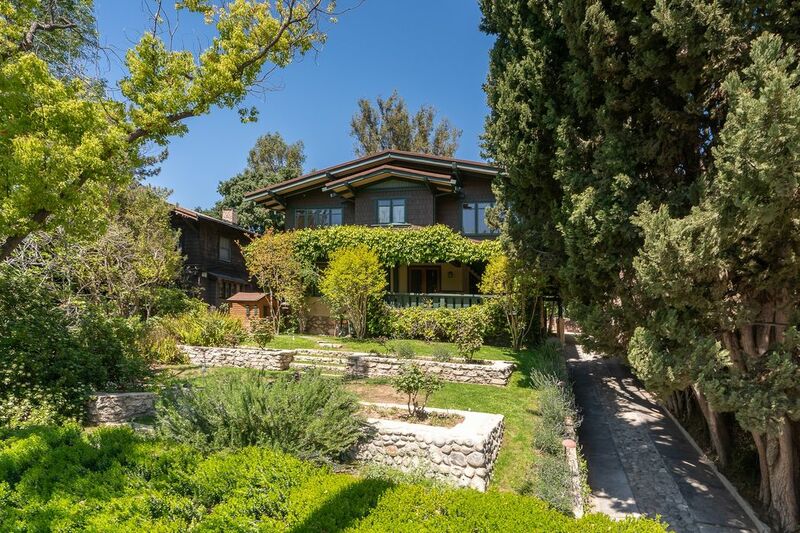 615 West California Boulevard, Pasadena, CA 91105 | Sotheby's International Realty, Inc.
$2,595,000 4 Bedrooms3 Full / 1 Partial Baths3,576 sq. 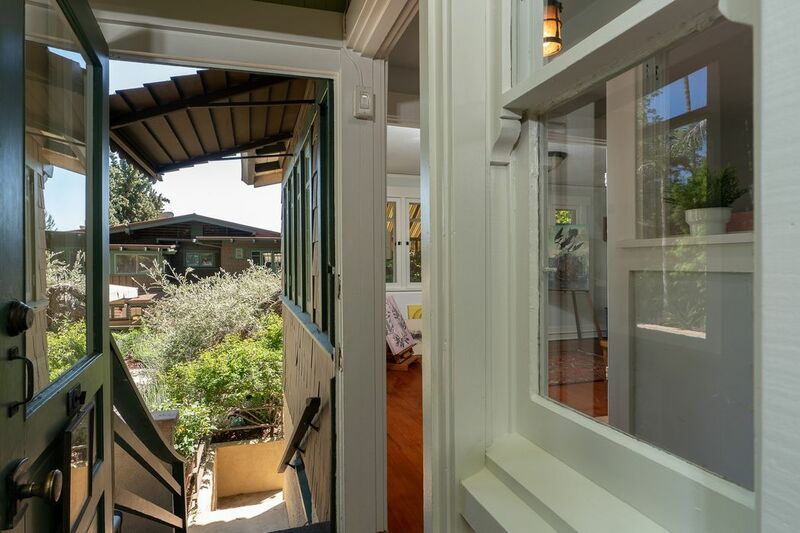 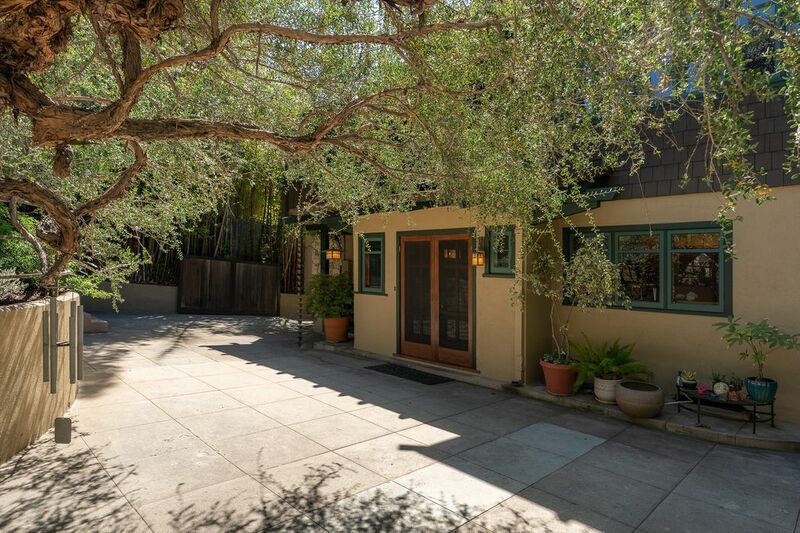 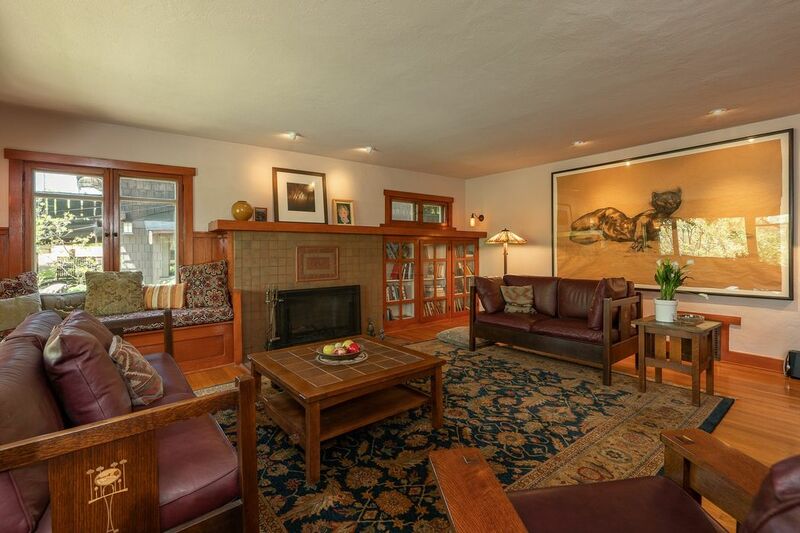 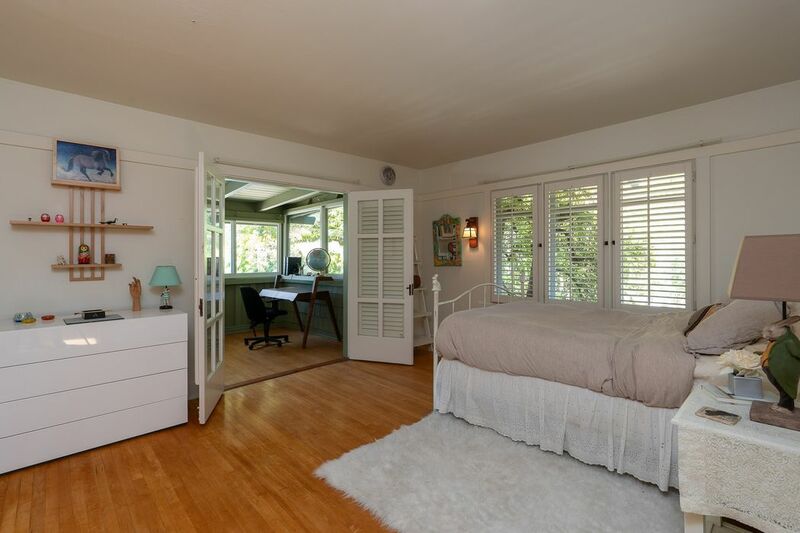 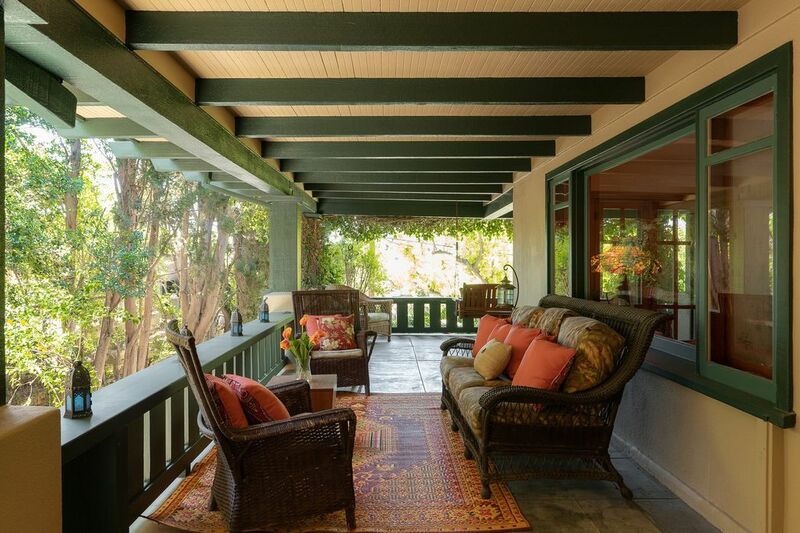 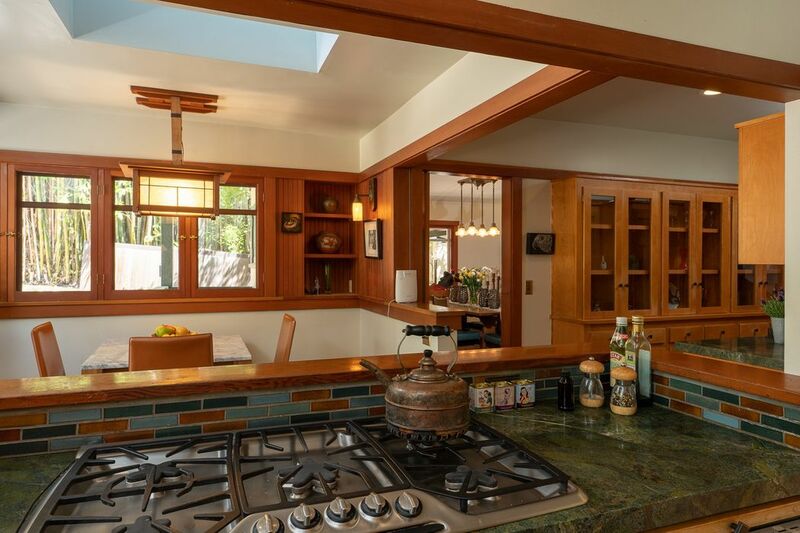 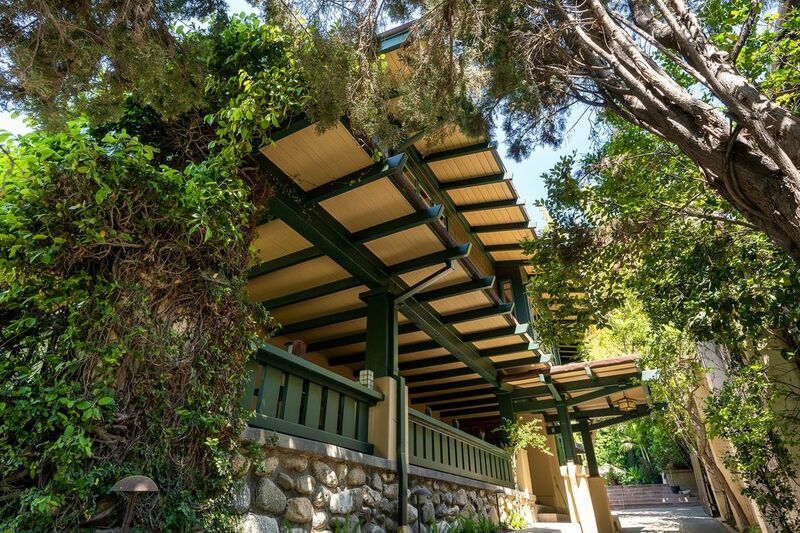 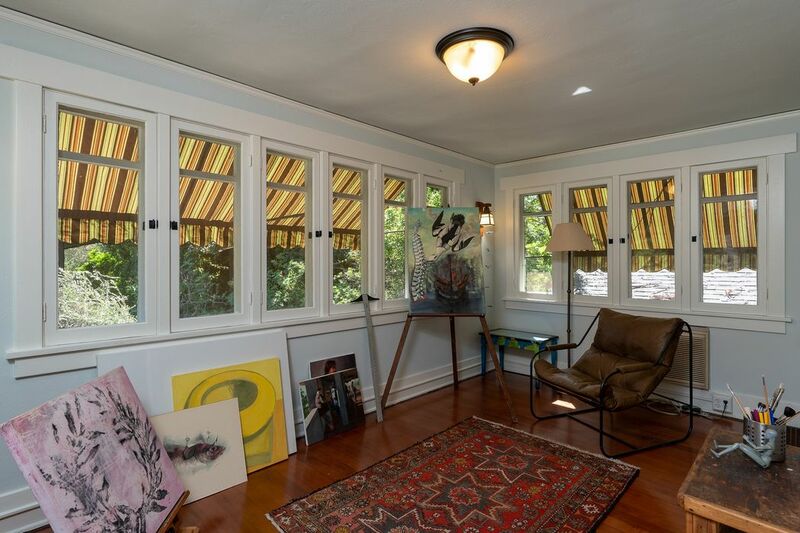 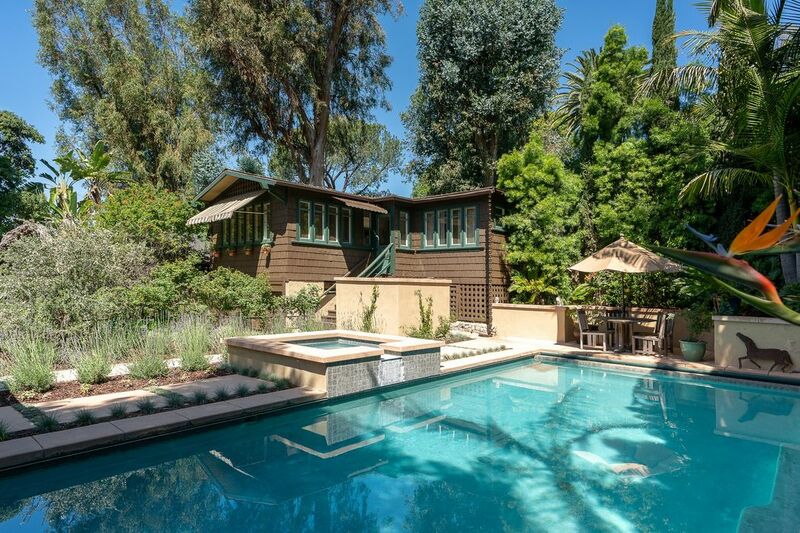 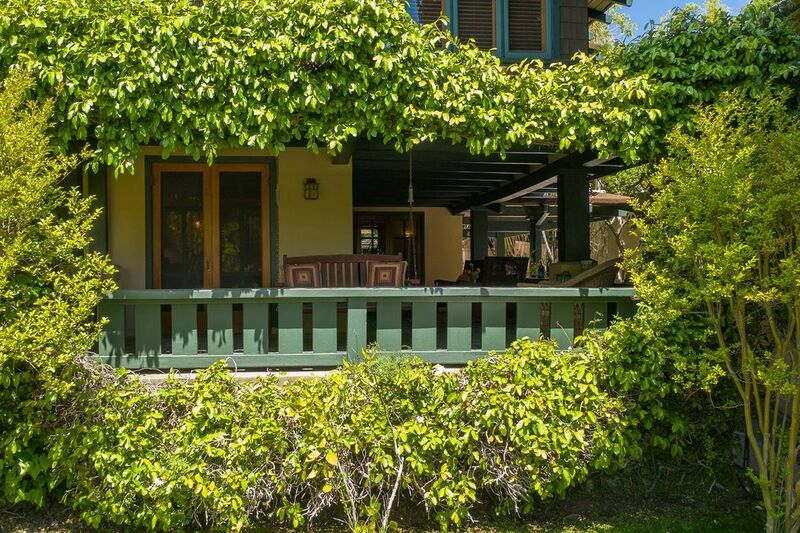 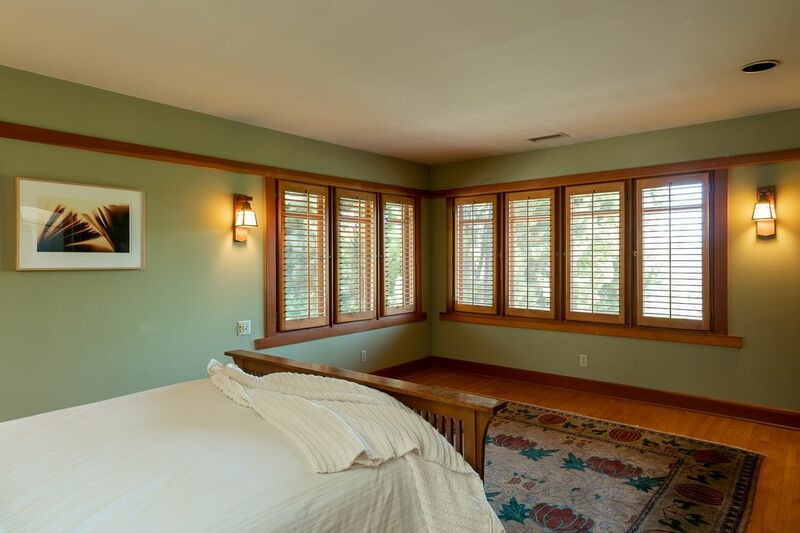 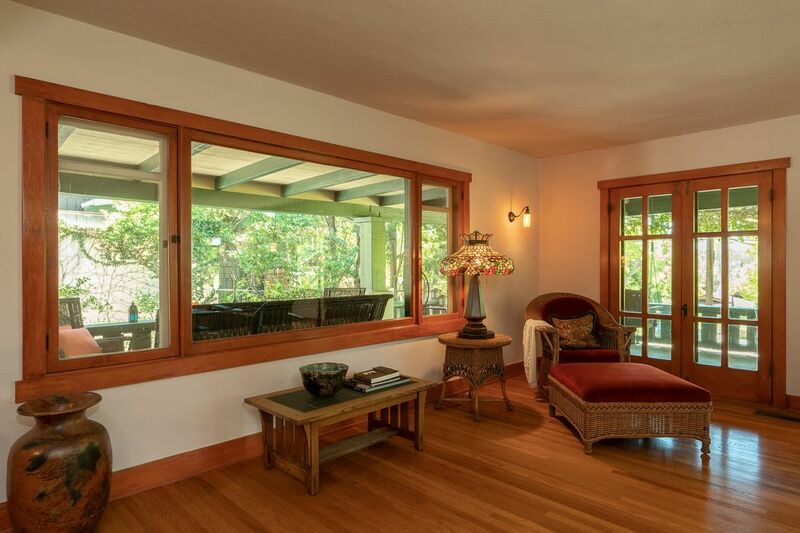 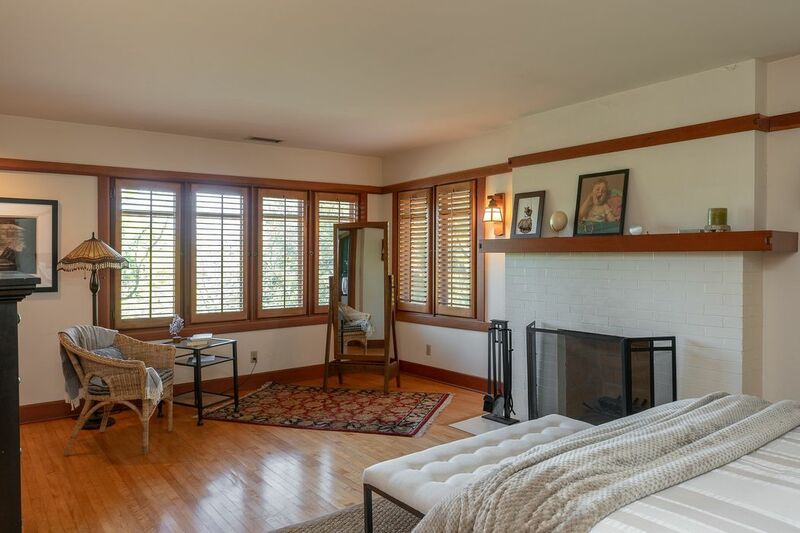 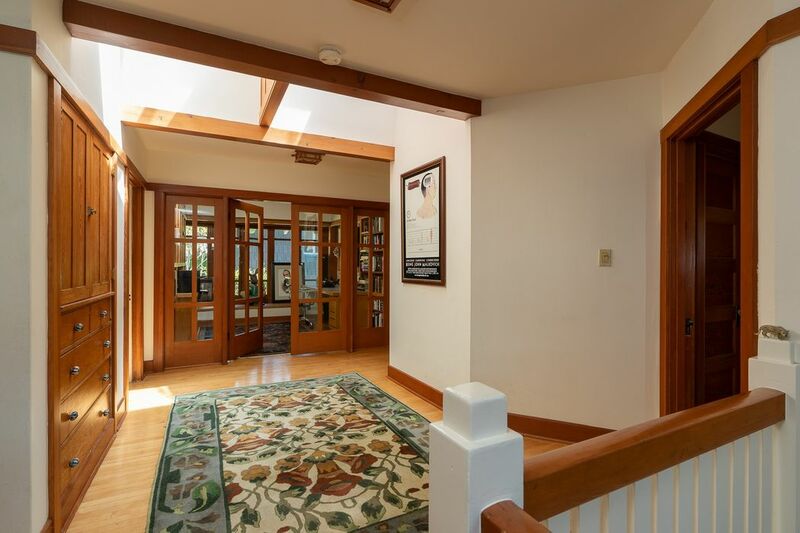 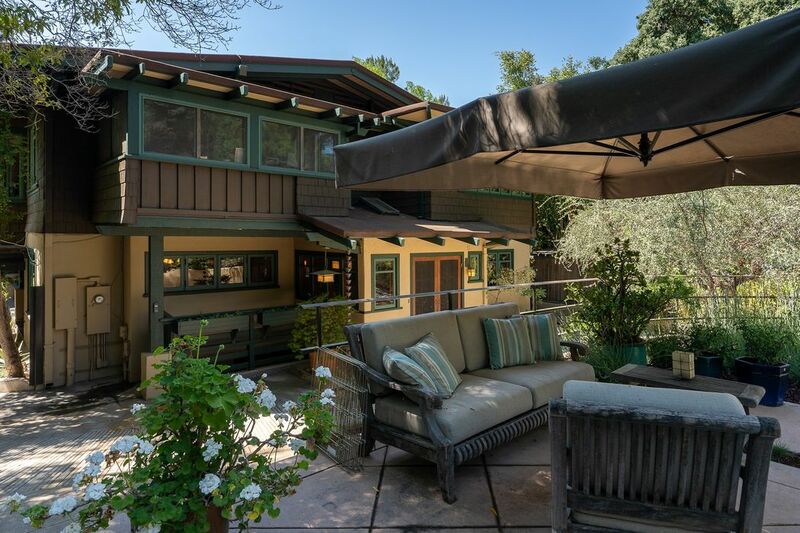 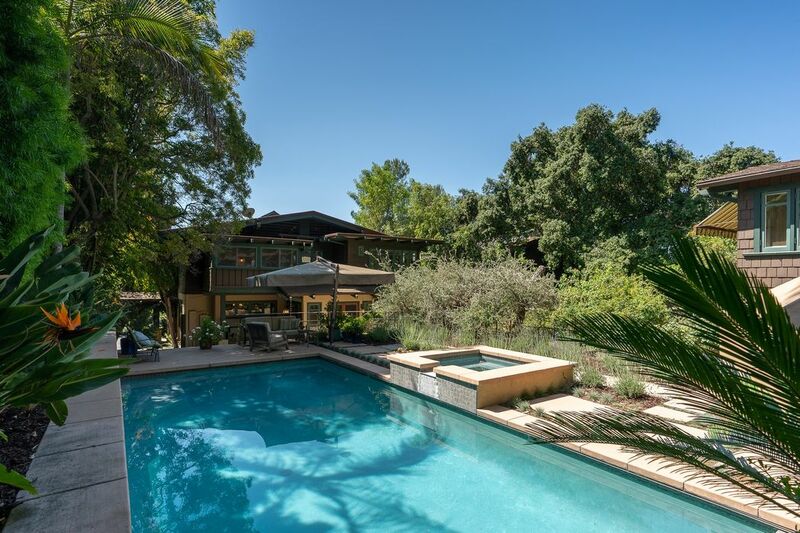 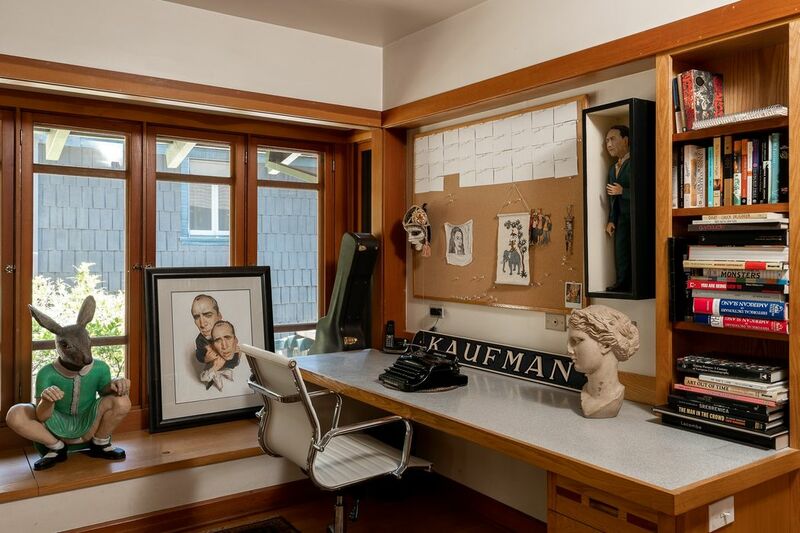 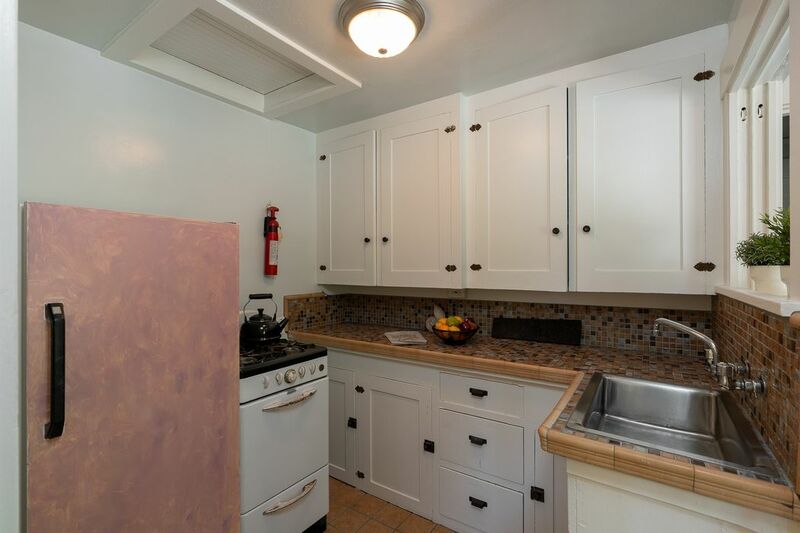 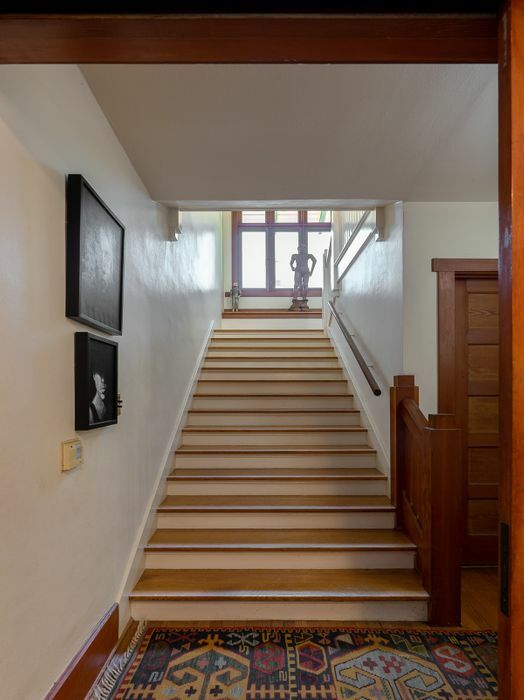 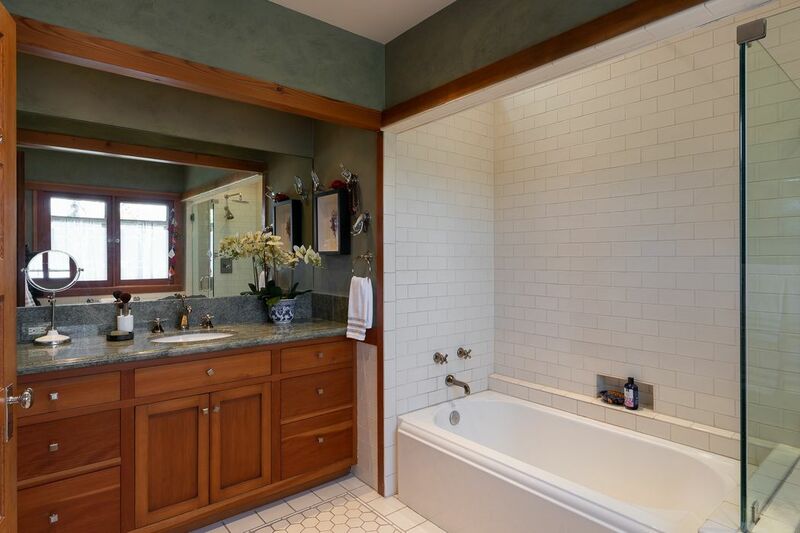 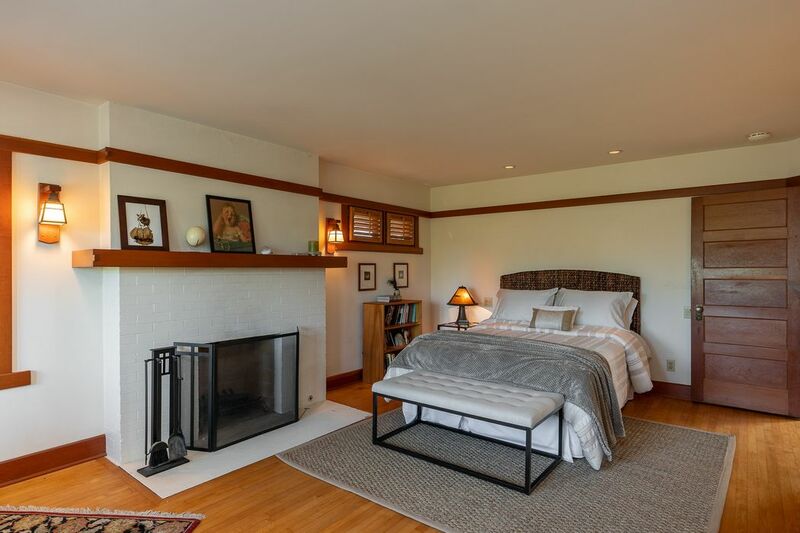 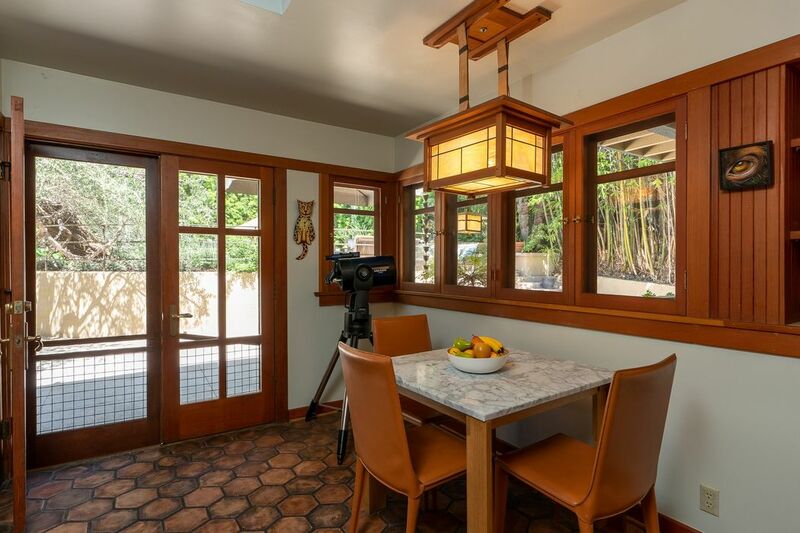 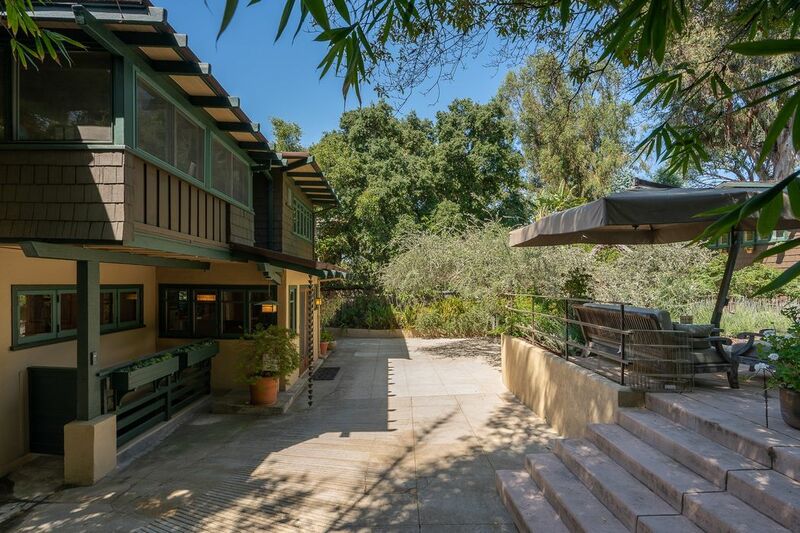 ft.
Tucked away from the street, this private and serene beauty in the sought after Arroyo area, is a stunning representation of the Arts and Crafts architectural movement in Pasadena. 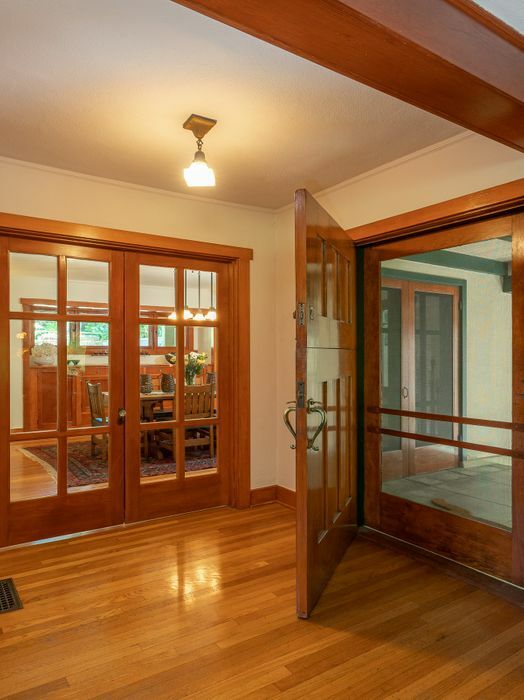 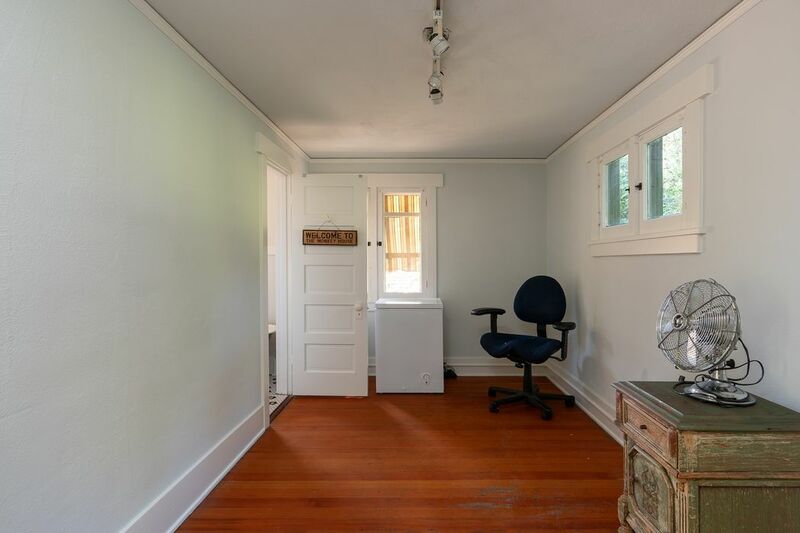 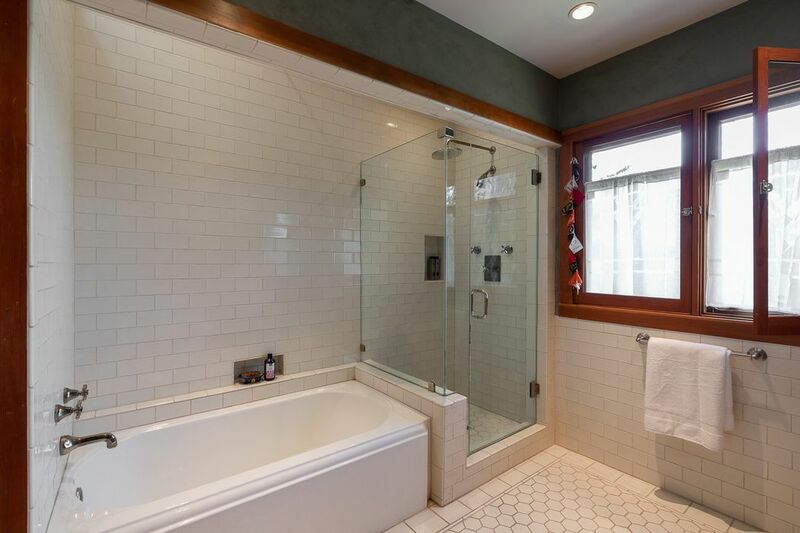 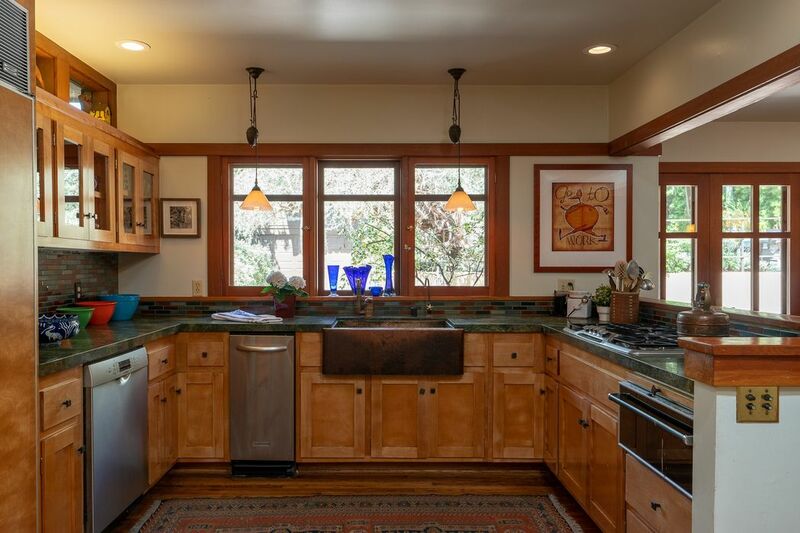 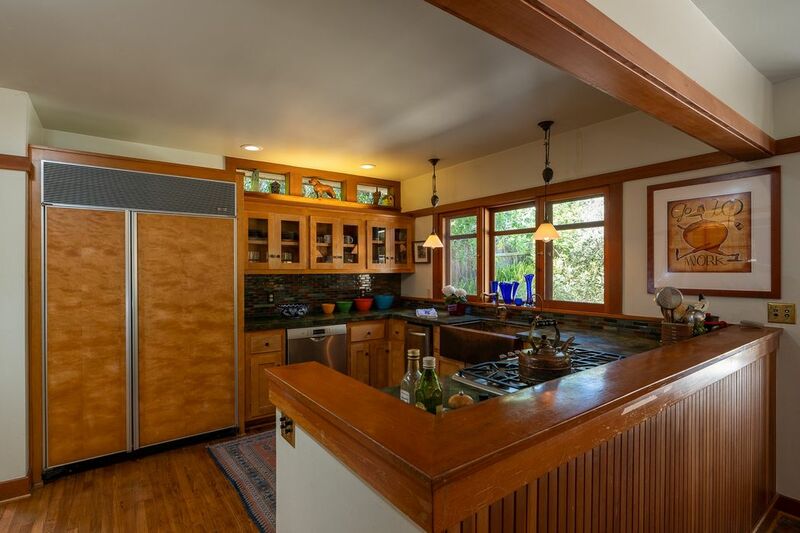 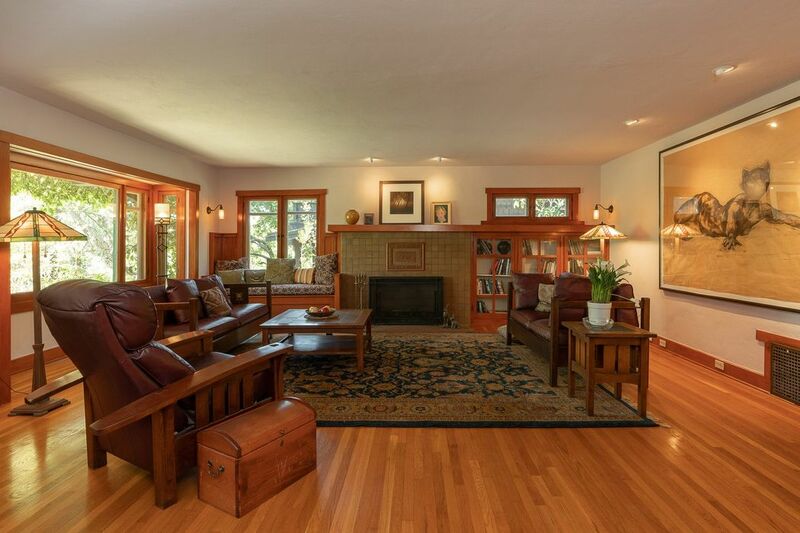 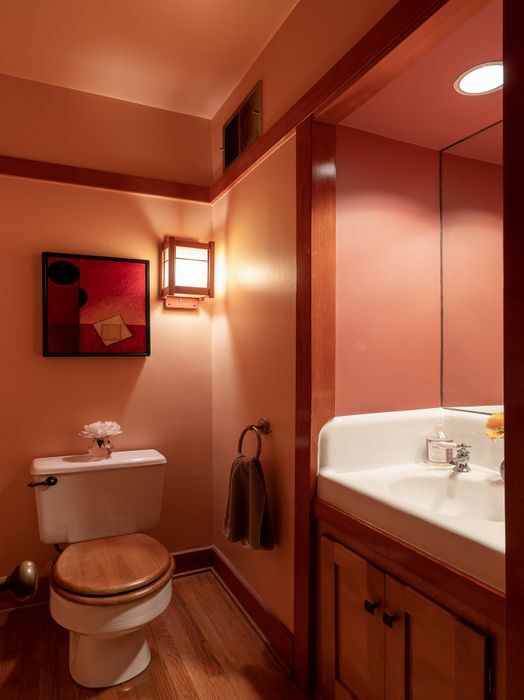 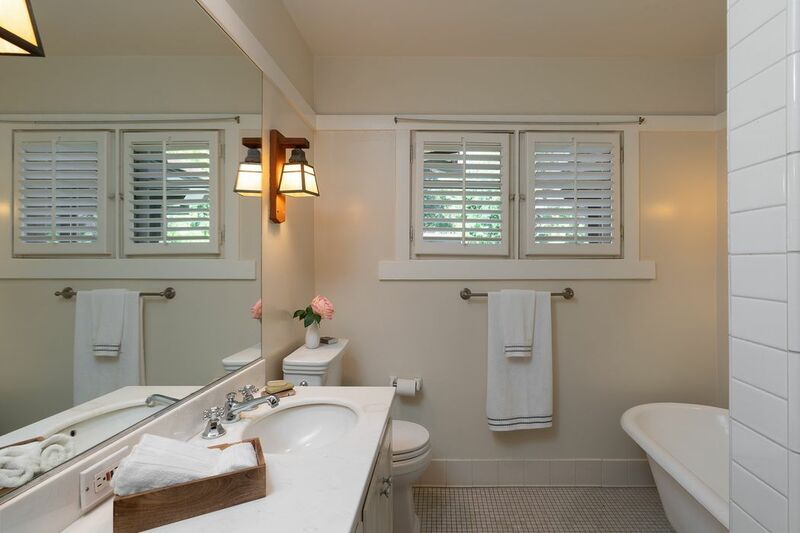 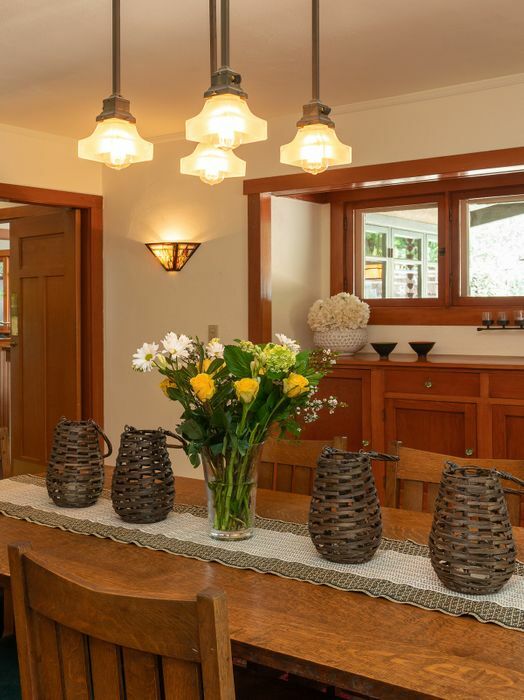 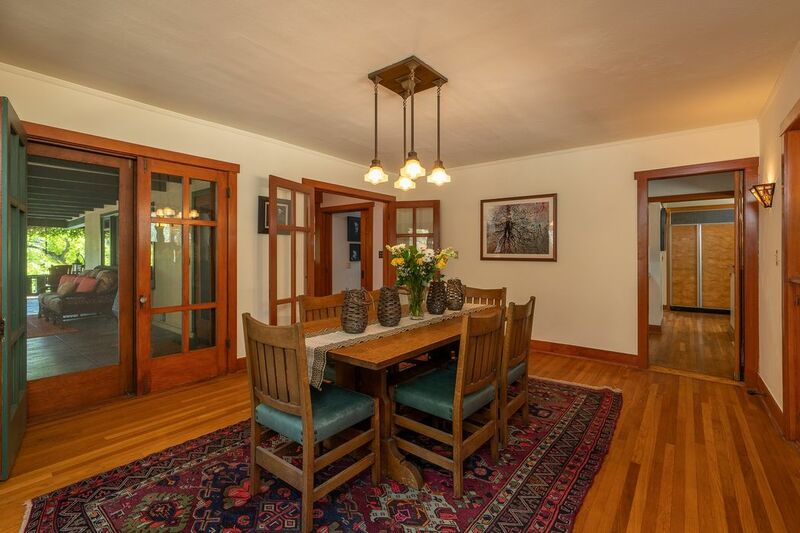 Built by the firm of Austin and Grable in 1910, this beautifully maintained Craftsman house offers a low-pitched gabled roof with broad eaves, a large wrap-around front porch, and exposed wooden structural elements. 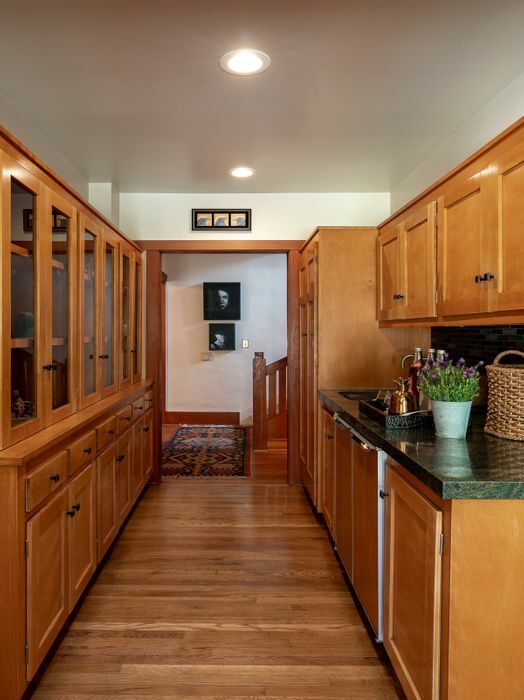 The interior presents a balance of beautiful built-in cabinetry, woodwork, natural materials, natural light and nature-inspired accent colors. 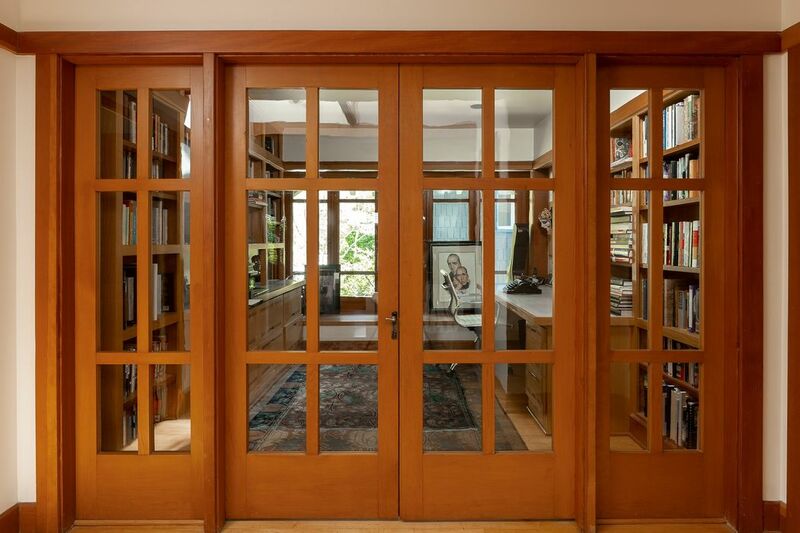 The open floor features a majestic living room with fireplace, built-in glass-faced bookcases and built-in bench, a formal dining room with built-in buffet and a spacious updated kitchen with butler’s pantry, breakfast area, recycled glass tile floor, and stainless steel appliances. 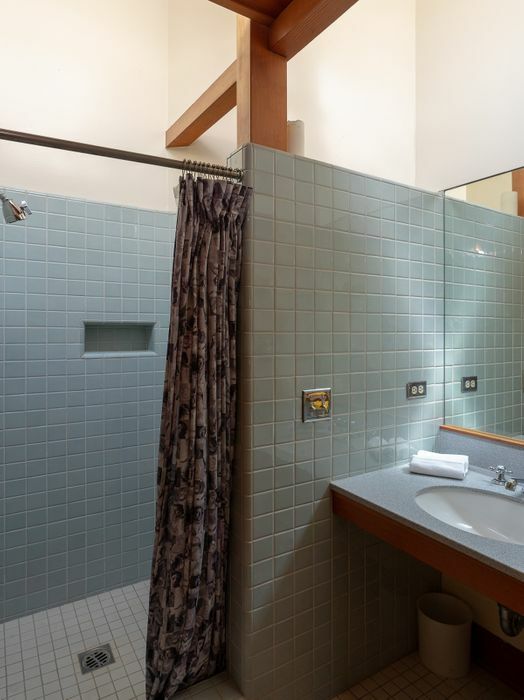 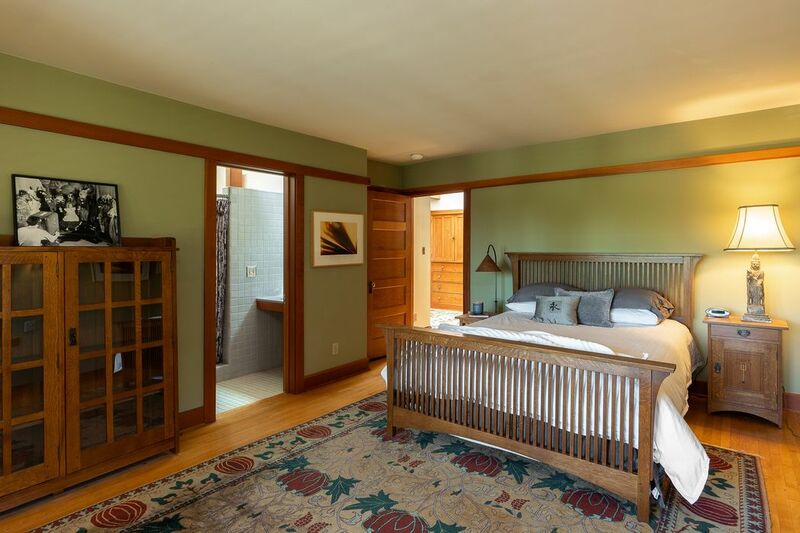 The second floor features four spacious bedrooms including an ample master suite and four bathrooms. 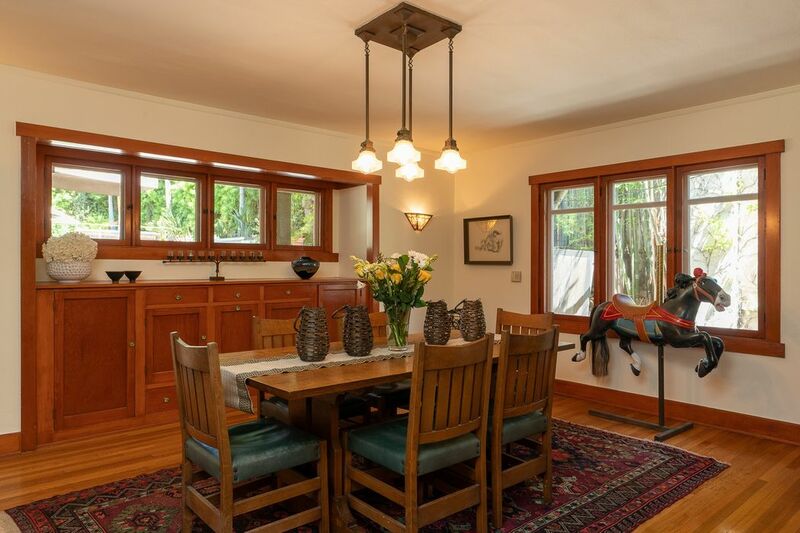 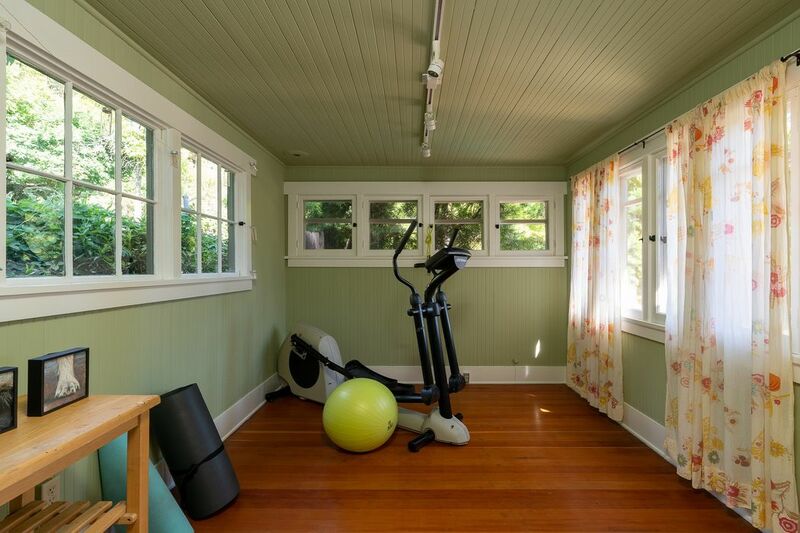 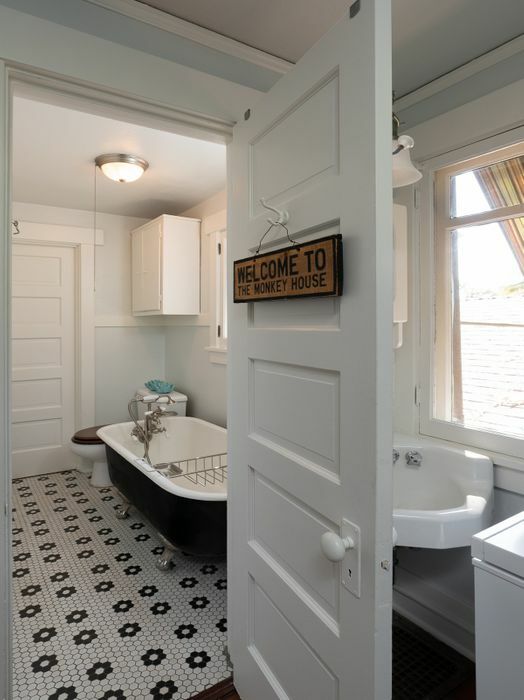 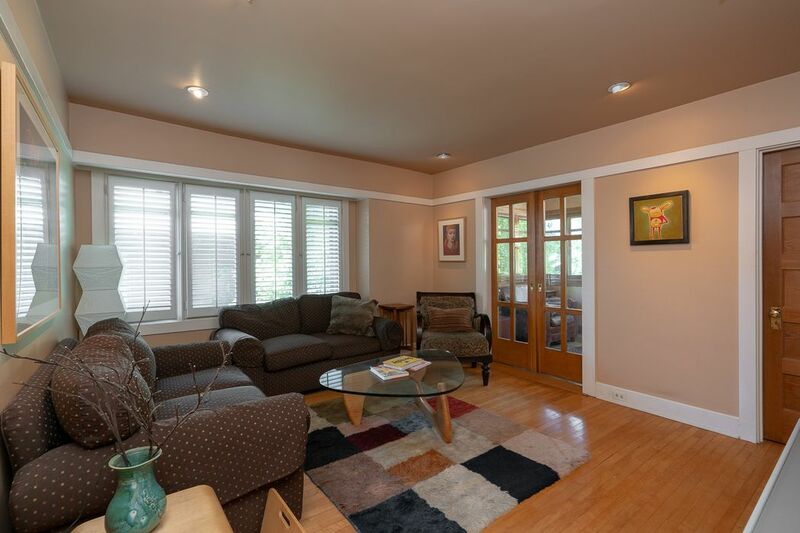 Skylights throughout and abundant original windows and French doors lighten the interior. 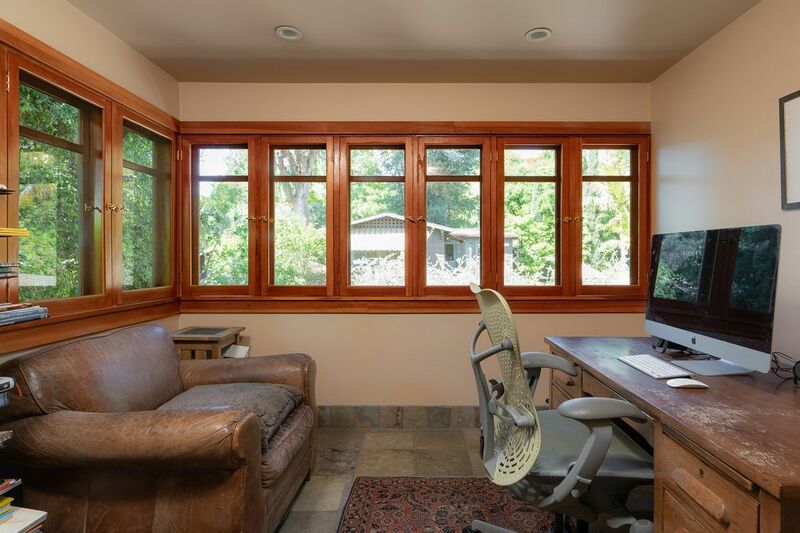 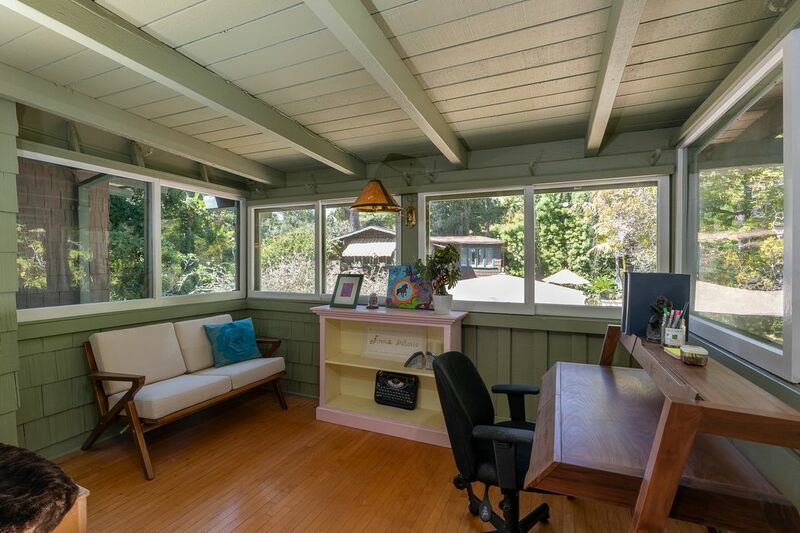 Accentuating the romanticism is the upstairs reading porch/ office, the owner's thinking and writing temple with views of the lush and verdant pool area. 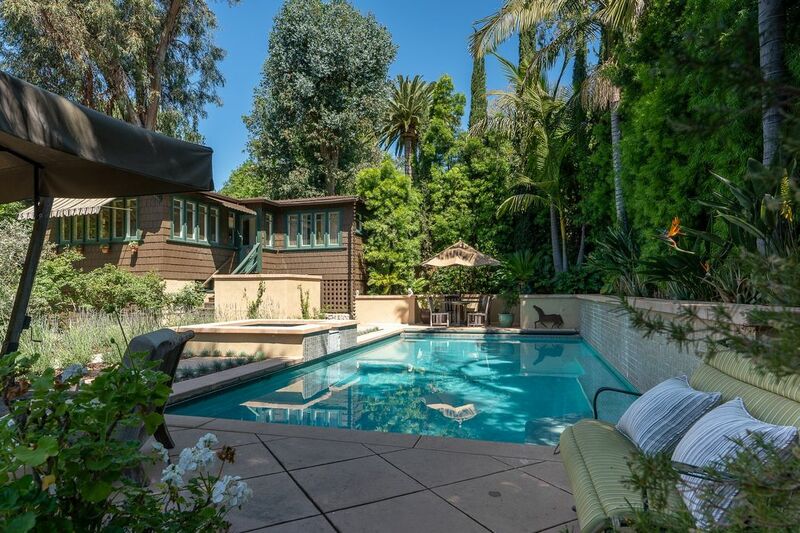 The charming two-bedroom guest house embraces the tranquil atmosphere of the warm and exotic landscape of the back yard with pristine pool and spa. 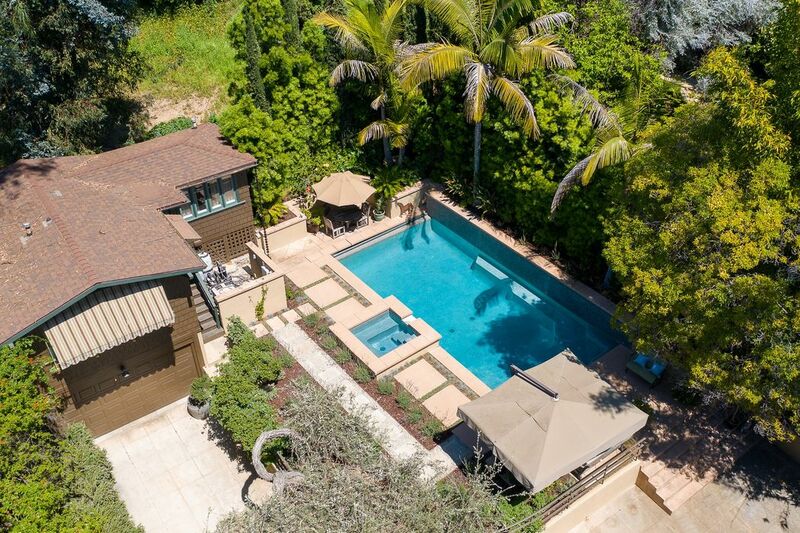 In this exceptional property, one gets a constant wonderful visual experience enhanced by the beauty of its natural surroundings.